November 27, 2010 by Fr. C.
Once again it is time for Saint Alban’s Family Movie Night. 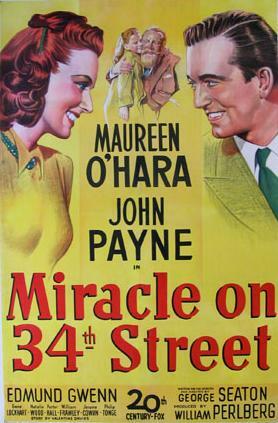 Dinner (chili) will begin at 6:00 p.m. on Friday, December 3rd, with a showing of Miracle on 34th Street to follow. Come join us for an evening of great fellowship and fun with this Oscar-winning, holiday classic on the big screen.